Robbery and assault are serious crimes and involve the use of or threat of physical violence. 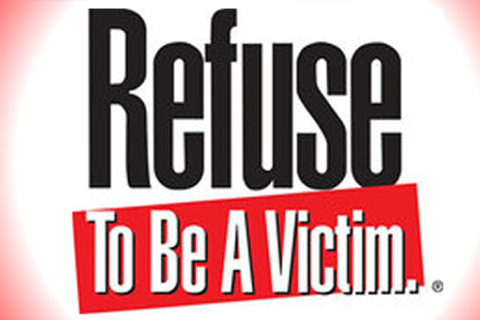 To keep yourself from being a victim it is important to be sensible and to pay attention to your surroundings. Take a moment to review these universal tips to help reduce the risk of becoming a victim of a robbery or an assault. Let someone know what your plans are. If you experience a problem your friend or family member can contact the police. Stay in well-lit areas as much as possible. Avoid areas which are not well lighted or heavily traveled. Always know the name of the street you are walking on or the name and location of the building you are in so you can provide this information in case of an emergency. Always use the sidewalk where provided and pay attention to your surroundings. Avoid blind spots or areas which could conceal a person from your view. Make it a point to walk facing traffic. A person walking with traffic can’t see vehicles coming up from behind them. If you use earbuds or headphones while walking or jogging, keep the volume below the noise levels in your environment, don’t ever completely tune out of your surroundings. If you must text or post on social media, stop where it is safe to do so and take care of your text. Wear clothing and shoes which are provide freedom of movement and good visibility. Avoid having too many items with you. Avoid using ATMs which are out of public view or do not provide good lighting during the evening hours. Do not carry large amounts of cash with you and do not display your cell phone or jewelry in public. If you see something suspicious, say something to the Salisbury Police Department 410-548-3165. Dial 911 in the case of emergency. Follow us on Facebook or Twitter for information about crime and events related to operations of the Agency. Know the neighborhoods where you live and work. Be able to recognize when something seems to be out of place. Be sure to know where your police department is located. The Salisbury Police Department is located at the intersection of RT50 and Delaware Avenue, 699 West Salisbury Parkway, Salisbury MD. Don’t resist. Give up your property, don’t give up your life. Property can be replaced, you can’t be replaced. Report the crime to the police as soon as possible. Be ready to provide some basic information about the suspect such as; gender and age of the suspect, hair color, skin tone, type and color of clothing, and direction of travel of the suspect. Your actions can help prevent others from becoming victims and can help us locate and apprehend the suspect. Self defense measures are most effective when applied as preventive steps; avoid the crime if you can by being proactive. If you are interested in learning more about personal self defense, we recommend you find a reputable company and begin taking classes. A person commits an assault when he or she intentionally causes physical injury to another person. The more serious assaults are known as “aggravated assaults,” and the less serious are known as “simple assaults.” Far too often the simple assault can quickly turn into something very serious and even life threatening if the initial argument or fight is not de-escalated. Walk away from any argument which appears to be turning physical or violent. Never carry a firearm, knife, or other illegal weapon. Weapons escalate the situation can be used against you. Alcohol is a contributing factor in many assaults and has a negative impact on your decision making ability. If you see an assault in progress, dial 9-1-1 and provide the location of the assault to the dispatcher along with a description of the parties involved in the assault. If your partner (someone you are dating) has abused you, do not meet him or her alone. Call the police to report an assault committed by your partner. If the assault is in-progress, call 9-1-1. If you or your children are the victims of domestic violence, contact the police immediately. If the assault is in-progress, call 9-1-1. Whether you have been the victim of domestic violence or if your partner has assaulted you and you are not currently in immediate danger yet you would like some support or have questions, call The Life Crisis Center 410-749-HELP or call 2-1-1. Both of these telephone numbers are staffed 24/7, 365 days a year.